With the changing colors of the season, we are greeted with festivities and events to match. Gatlinburg, Pigeon Forge, and the surrounding Smoky Mountain area are full of entertainment options for the fall months. Read on to learn about local events covering Halloween, fall festivals, and Oktoberfests in the area. October 28, 2017, from 5–9 p.m. Entering its fifth year, the annual Halloween Carnival is sure to please every member of your family. From circus-style acts like stilt walkers and acrobats to free photos and a costume contest, there is plenty to keep you engaged and amused. During the event you can score half-off unlimited ride passes—just dress in costume to unlock the deal! October 28, 2017, from 2–6 p.m. Horse Haven of Tennessee, an equine rescue and shelter, opens its stalls for trick or treating! Kids, bring your candy buckets as you go from stall to stall, which will be decorated as part of a contest. In addition to pony rides, they also will have a petting zoo, games, carousel, and pony painting party. Admission is $10 per car (no RVs). October 31, 2017, from 1–5 p.m. It doesn’t matter whether you’re a resident or a visitor when it comes to fall fun! This event at Ripley’s Aquarium of the Smokies offers contests (including a pumpkin contest) and candy. Learn about how you can participate in trick or treating safely with the Gatlinburg Police Department. The Gatlinburg Fire Department will instruct on fire safety. Proceeds from some activities will be donated to support the United Way of Sevier County. Take the aerial tram from the station in downtown Gatlinburg up to Ober Gatlinburg’s Ski Area and Amusement Park or drive up and experience the beauty of the Smokies and German heritage all in one spot! The 8th annual event offers traditional German fare like schnitzel, pretzels, strudel, and bratwurst. You’ll be entertained daily by live performances while you sit back and relax. The outdoor Bier Garten offers featured beers every weekend. Walk through the retail shops to score beer-specific novelties as well as other souvenirs like apparel, gifts, and accessories. Inflatables and face painting will be available to keep the kids occupied and having a blast! September 30, 2017, from 5-10 p.m.
General Admission. Includes shuttle service from Asheville and Hendersonville or parking at the WNC Agricultural Center and drink ticket. Designated Driver. Drinks are limited to water, lemonade, and iced tea. Additional beer and pretzel tickets are available both online and onsite at the event. The German-style festival beer available uses whole-cone hops. Other beers will be available. Besides beer and food, there will be live entertainment and two contests (Chicken Dance and Flash Your ‘Stache). October 14, 2017, from 12–8 p.m. 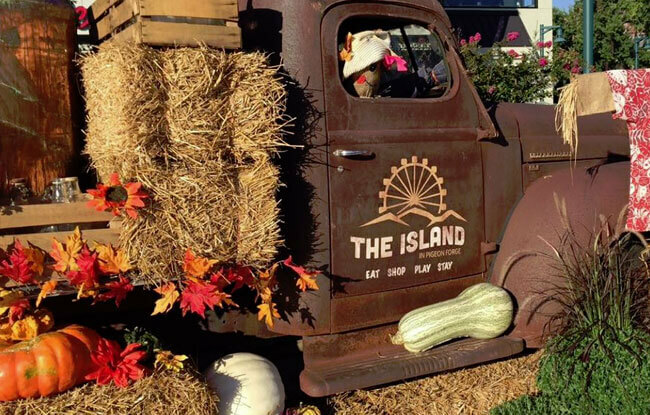 If autumn and beer are two of your most favorite things, you’ll love this festival! There will be entertainment with live bands, and over 40 breweries will be there to provide seasonal beers to enjoy. The souvenir you should take back home is the annually produced festival bottle, a fruited version (using fresh Carolina Peaches) of The Separation of Light and Darkness. It comes with a ticket and bottle package. Admission is $15 at the gate and includes a commemorative glass and two beer tokens. Need a place to stay while you’re having fun at all of these events? Check the Lodging category of the website to find spots near you! We’re currently working to expand our Asheville and Knoxville listings, so be sure to check back as we add even more brochures to help you make the most of your vacation.